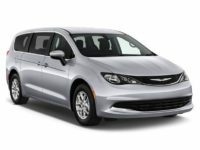 Chrysler’s vehicles have a sterling reputation for being economical, comfortable and dependable, making them a great choice for your next auto lease! 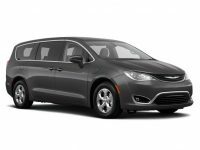 Getting a Chrysler car lease from Car Leasing Brooklyn will provide you with not only the best quality vehicle in the business, but also at the lowest price, and with the widest selection to choose from! There’s no better place from which to get your next Chrysler auto lease, whether that’s the 200 convertible and sedan, or the Town and Country Minivan! Car Leasing Brooklyn has low monthly rates on a Chrysler lease for you, and thanks to our close relationships with lenders and financial institutions throughout the state, we can generally arrange financing with much more accommodating terms than other leasing agencies! Don’t settle for less when you’re considering Chrysler leasing – let Car Leasing Brooklyn provide you with a top-notch vehicle at the lowest rate, and the widest selection of any agency in New York! Our connections with Chrysler dealerships all over New York state allow us to offer a huge selection of Chrysler automobiles, with any and all factory options you might want for your next lease! But don’t just take our word for it – call one of our sales professionals right now at 718-307-5639, or start the process of leasing a Chrysler auto from Car Leasing Brooklyn at our vehicle stock page! You’ll never regret leasing a dependable Chrysler automobile from Car Leasing Brooklyn – so get started today! 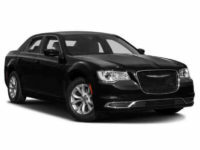 Not only does Car Leasing Brooklyn offer every recent model of Chrysler automobile – like the 300 sedan – but we also make it more convenient than any other lessor in the state! If you consider how much of an inconvenience it can be to visit a brick-and-mortar leasing agency, this makes perfect sense – for starters, old-fashioned leasing companies make you trek out to their car lots to even start looking for your Chrysler lease! These car lots are often far out of the way, because the parcel of land on which they have to build their car lot is going to be cheaper to rent or purchase out there, but which also means that you have to inconvenience yourself by going all the way out there. By contrast, Car Leasing Brooklyn has its entire selection of Chrysler leasing vehicles posted on our website, and rather than slogging out to a physical lot, all you have to do is browse our selection on the inventory page! And that selection is going to be far greater and more diverse than any single Chrysler leasing agency can offer, because we are affiliated with a huge number of Chrysler dealerships throughout New York, and we can offer their inventory as our selection of Chrysler vehicles! No other agency can make this claim, because they’re necessarily limited to the number of cars that will fit in their lot! With no such limitation because our “car lot” is all online, Car Leasing Brooklyn becomes the agency with the widest selection of anyone around! Come see for yourself why Car Leasing Brooklyn is the most convenient agency with the best selection in all of New York – check out our Chrysler inventory page or call us up at 718-307-5639 today for a quote or to inquire about the Chrysler you most want to lease!